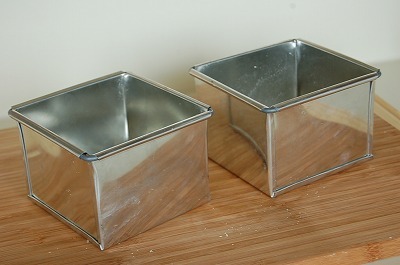 I got small cube shap loaf tins. Size is 10 x 10 x 10 cm. 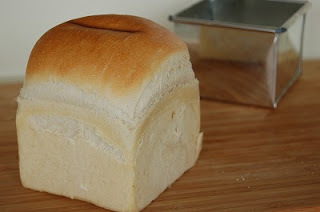 That is bread I made with the tin. 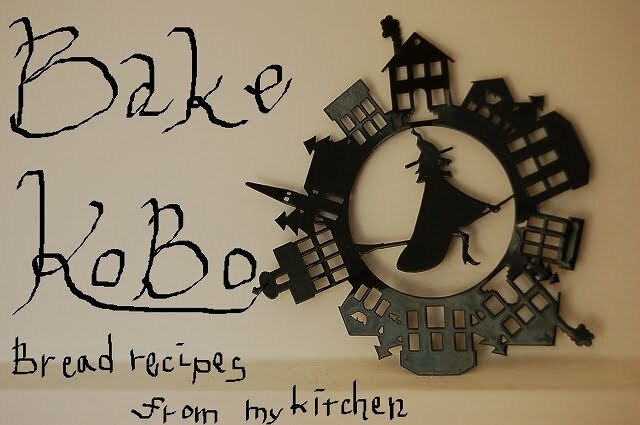 I used 200g of bread flour. I think it is suitable for present.